This is a great section of river for families or those looking for an introductory trip on milder water. The river around Salida is peaceful and calm as it winds through the mountain filled valley and enters the upper parts of Bighorn Sheep Canyon. A few mellow rapids will offer splashes throughout this scenic float trip. Spend a full day on the Arkansas River. 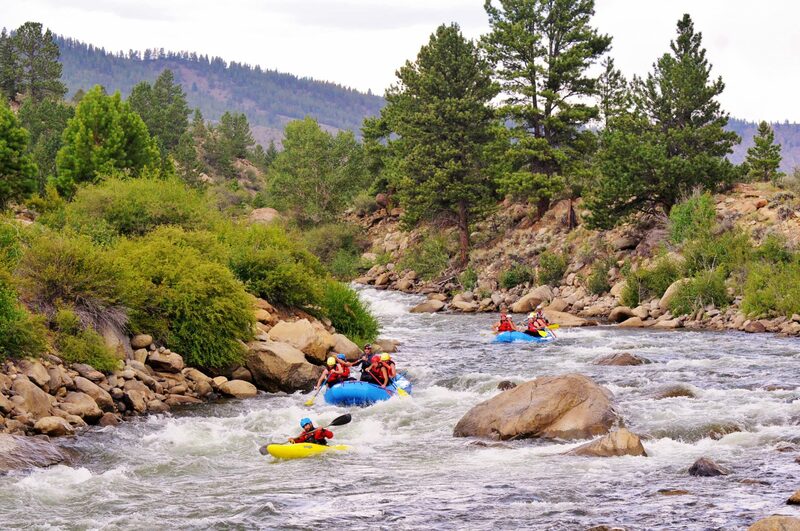 We’ll start the trip just upstream of Salida and float through some fun mild rapids, have a riverside Mountain Mex lunch, then continue rafting through the town of Salida and finish our trip downstream.